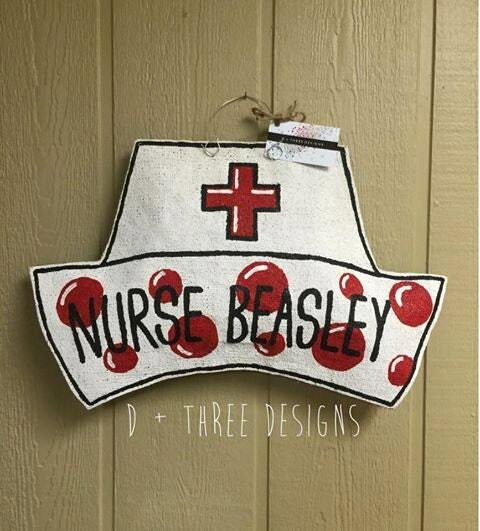 This is a hand painted nurse hat burlap door hanger that can be customized with any name. 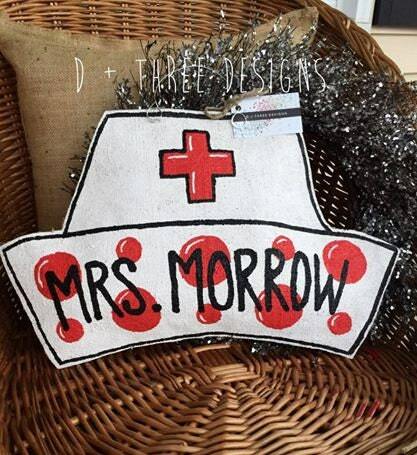 This makes the perfect gift for a school nurse or that special nurse who has touched your life. 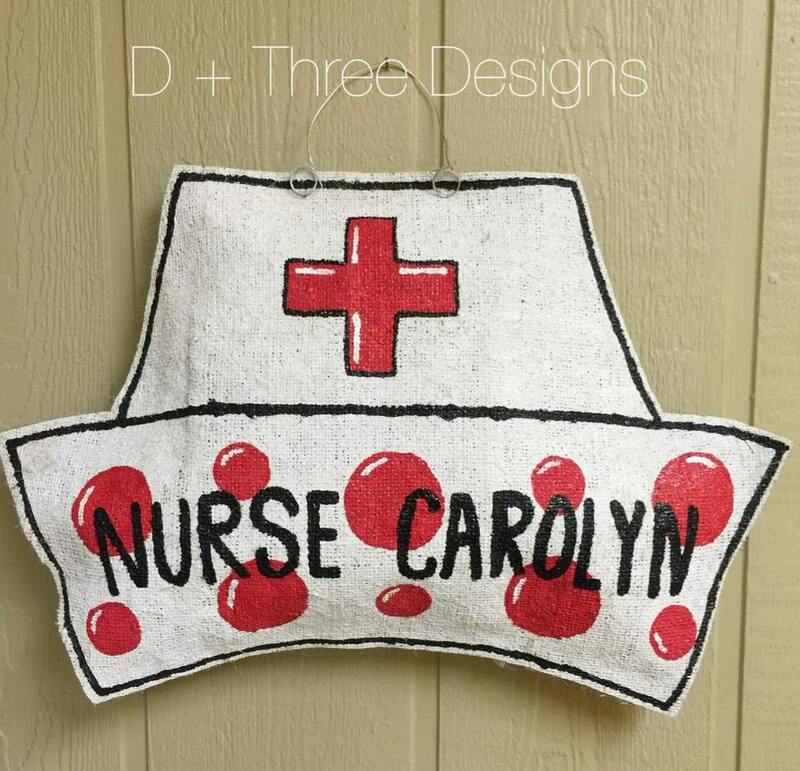 The nurse hat burlap door hanger is hand painted, sealed, stiffened, and stuffed for a 3D look. Approximate dimensions are 15 inches wide x 13 inches tall. Burlap door hangers are made to order. 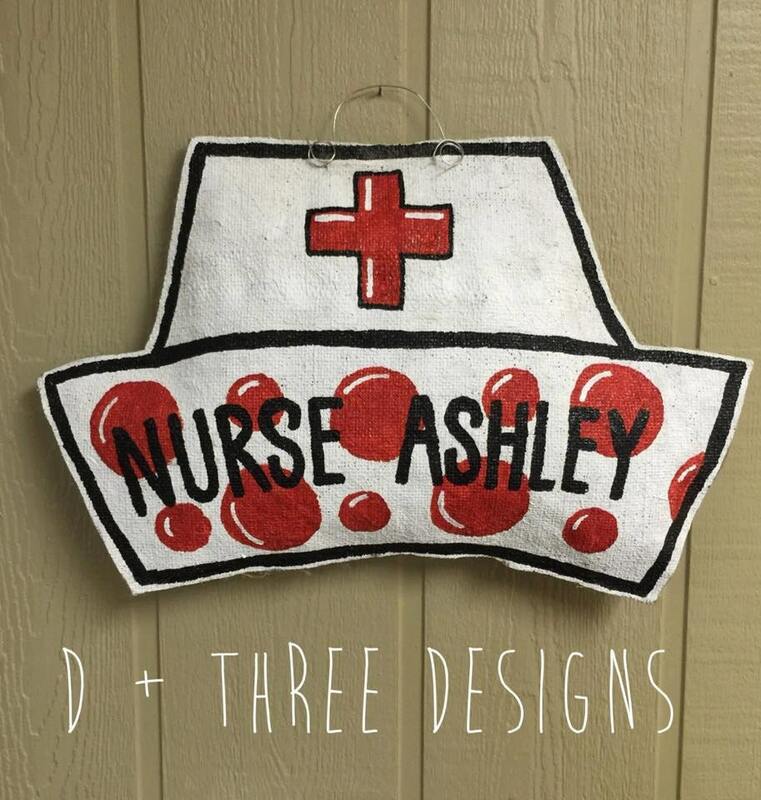 Custom requests taken and personalization is available on all products at D + Three Designs. Please feel free to send us a message for specific requests or custom orders.